A new report by the Center for International Environmental Law (CIEL) Preempting the Public Interest: How TTIP Will Limit US States’ Public Health and Environmental Protections details how EU proposals for the Trans-Atlantic Trade and Investment Partnership (TTIP) would usurp US states’ authority to regulate. These proposals would not only curtail states’ efforts to protect the public from toxic exposure, but also threaten any State regulations in the public interest that exceeds federal standards. 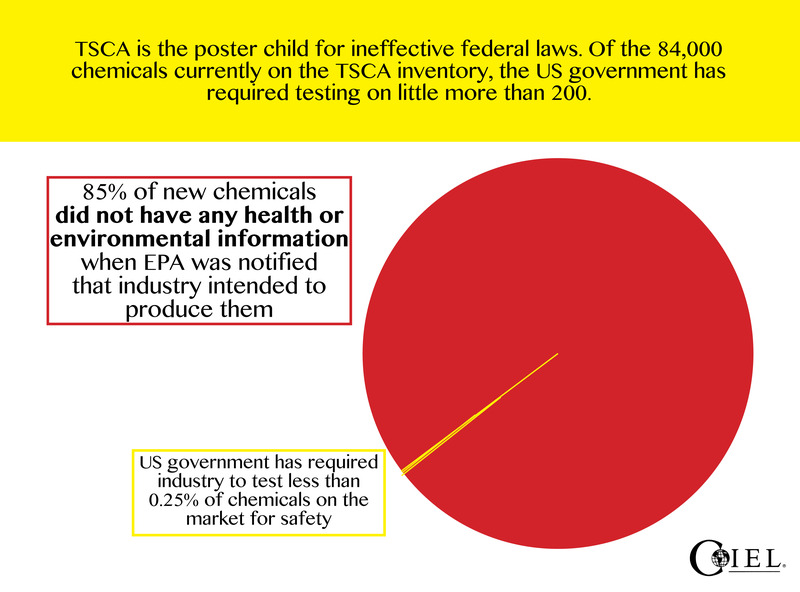 Over the past several decades, individual US states have repeatedly elevated protections from toxic chemicals to overcome the failures of the woefully inadequate US Toxic Substances Control Act (TSCA). 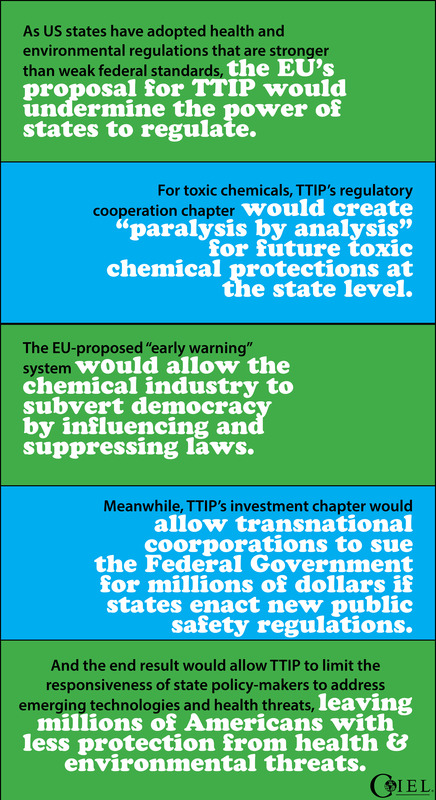 The threats to States’ authority join the litany of evidence that TTIP could become a toxic partnership through a downward harmonization of standards to the lowest common denominator. Not only is this proposal under TTIP contrary to the historic role of states as the frontline protectors of public health and safety, it would halt the innovation and responsiveness of state policy-makers to emerging technologies and health threats, leaving millions of Americans at risk. Take action today: Send a message to your state representatives and legislators. Ask them to demand that the US reject efforts by the EU to usurp the ability of states in the US to protect public health, the environment, and other critical public interests.